Wow, what a day in the precious metals pits on Friday. Gold was down $60 during regular hours and a total of $84 including after hours. Silver was down $1.50 during the regular session and a total of $1.81 for the entire day. I must admit, I was pissed off, irritated (not scared except for the future of our country and what is to become of our system) and angry until just before the markets closed. Then out of nowhere I just burst out laughing. I know, a rather odd emotional response but after reading this piece I hope you’ll understand. Friday morning started off weak and we hit air pocket after air pocket (I read somewhere that 37,000 contracts were sold in 11 minutes to kick this thing off) and all rally attempts were buried before they started. Over the last 2 weeks, many firms (banks and brokers) steadily reduced their projected gold price. Next we had the Bank of Japan announcing that they would double their money supply in 2 years and the paper gold price actually went nowhere. Then we had the “scary prospect” of Cyprus selling their whopping 14 tons which came out on Wednesday… then Friday came along and nothing but crickets. There was no news, nothing. After the close, Andrew Maguire reported that over 500 tons of gold (as traded on the paper markets) was sold. 500 tons by the way is more than 20% of GLOBAL mine production. This amount represents time-wise over 2 months of total global production! WHO would sell in this fashion? The manner of selling was done entirely to “make” price. Pure and simple this was an operation with only 1 goal; depress the price of the precious metals. “Price” is what I’d like to talk about today. There are 2 schools of thought. How many ounces you hold on the one hand and how many dollars those ounces are worth on the other hand. I am and have been a firm believer that the markets will close, ALL markets. If I am correct you will have no idea what anything is worth… until the markets are able to be reopened. You won’t know what a share of IBM is worth, you won’t know what your mutual funds are worth, you won’t know “how much” will be left in your bank account after the “bail ins” and you won’t know what your dollars or ounces of gold and silver are worth. The only thing that you’ll know is what you actually hold (stock certificates, paper currencies, ounces, etc) but you won’t know what they’ll “fetch.” You will not be able to trade or change anything (except through barter)until markets reopen and are “told” what holdings are worth. On the other hand, you can (as 99% still do) count your holdings in dollars. Are they worth more dollars or less? The problem with this approach is that you are counting your “values” in a medium that has a push pull relationship. I say “push pull” because while the government wants you to believe that the paper has a steady or increasing value they are at the same time issuing more and more of it (the more slices to the same sized pie means each additional slice is smaller). “Price” or “value” ultimately will be decided upon and truly obtained in the cash physical market which we will need to keep a close eye on in the coming weeks. 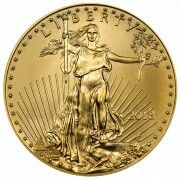 The paper markets are saying that gold and silver are worth “less” dollars. Now we will watch and see if the supply in the physical markets dry up in protest that the paper markets are wrong. This is already occurring in the silver market. 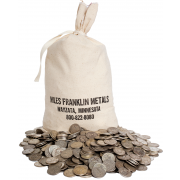 For example, the premium over spot in the junk market has gone to the +15% range which means actual “hold in your hand” pre-1965 dimes and quarters ended the week unchanged even though the paper silver markets showed a 6-7% loss. It will be of great interest to see how the physical markets react to these new, lower paper prices. We did get some some very big “supply” news on Friday (I did not see it until yesterday). Rio Tinto’s Bingham Canyon mine collapsed. This is the largest open pit mine in North America which provides better than 10% of all U.S. silver production and nearly 400,000 ounces of gold which is close to 5%. Oh, and by the way, gold and silver are merely “by products” as this is the largest copper mine in the world! I must mention that this landslide was predicted a couple of years back by engineers and the company saw it coming in February as the land started to slip. The company had apparently moved equipment and all workers out of the way as the landslide was anticipated. But… this landslide started on Wednesday? Wasn’t that the day that we were told Cyprus was going to “oh my gosh” sell 14 tons? To which the gold price dropped $25+? Should we expect that this copper mine’s lack of production for whatever length of time is less important? So, I mentioned earlier that I broke out laughing Friday afternoon. I did that because I thought to myself, “NOW is there, can there be, anyone on the planet that cannot see the price being manipulated by the paper markets in the face of huge physical demand?” Yes, people can also point to the stock market and say, “See, everything is fine.” It’s not. So what to do? If you agree that something is really really wrong then just count ounces. If you worry about the “price” moving up and down then wait a few days and let the smoke clear because there will be margin calls early in the week so you may get a better price in a few days. I personally don’t worry about price, that will take care of itself when the availability goes away. They are not going to wave a flag when the bottom of the barrel is reached and we know that significant production may have just been disrupted, and we don’t have a clue for how long. 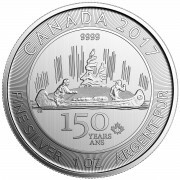 The day will come and it may be very soon that what you “paid” for your metal will be entirely insignificant. The only thing that will matter is whether you have any ounces at all or “how many ounces” you actually have. But, but, but……the price is down. How funny that no one even breaths a word that the biggest copper mine in the world collapsed last week? Fundamentals don’t matter and when they do…just don’t report on it. Golds outlook is downwards. the deflationary spiral is really hitting the fan now. There is DISCONNECTION between the money supply and the money in circulation= NO VELOCITY of money in the Economy. Just goosed up markets but increase in DEBT on DEBT everywhere. …as well as a disconnect between the real and paper markets. We shall soon see. Yeah but its allways been like that. maybe a bit more now ofcourse. but i like gold and has bought at 500, 700, and 1100. But i think it is overvalued. it has surpassed inflation by miles. really/ …and your definition of inflation is what? Bill, remember that the money being printed is not circulating into the economy. 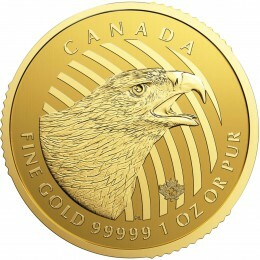 nor is the paper Gold and Silver being sold making it into anyones vaults. Have you priced “junk” if you can find it? With premium it’s trading at $29++ spot, the only problem is that as of this morning there were very few 1/2 bags left for sale ANYWHERE. Eagles are carrying a 20% premium…and this whole charade is happening after the largest copper mine in the world (collapsed over the weekend) that produces over 10% (actually 16%) of US Silver production. Haven’t seen this in the news? Curious isn’t it?